There’s no doubt that the IOC’s decision last week marks a huge symbolic victory for Brazil, South America, and the rest of the developing world. But could the arrival of the 2016 Olympics do more harm than good for Rio de Janeiro’s poorest residents? It could depend, in part, on how the Brazilian government plans to beef up security in advance of the Games. Security crackdowns in Rio de Janeiro have often amounted to police raids on the sprawling shantytowns, home to a third of the city’s population, where drug traffickers have ensconced themselves. 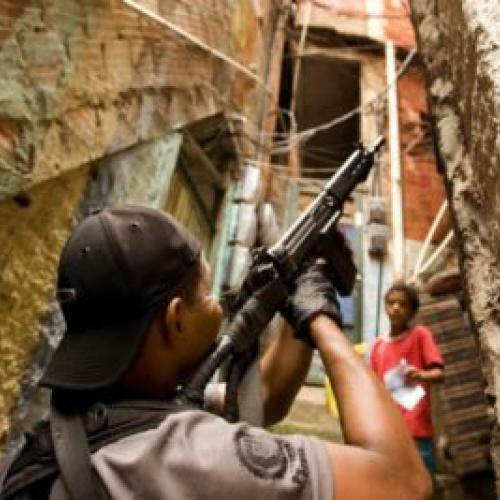 The resulting gun battles have killed scores of innocent bystanders--predomi nately poor and working-class residents of the favelas--thus contributing to the stunning 2,069 murders that happened in Rio last year. Yes, the traffickers themselves are ruthless, exerting a mafia-like control over the shantytowns they occupy and burning buses full of civilians to retaliate against police pushback. But Brazilian police have fed the cycle of violence by acting outside the law, committing extrajudicial killings and massacres that human rights groups and the U.N. itself have denounced. (Off-duty police officers have even taken to forming their own gang-like militias, which now control some 15 percent of Rio’s slums.) It’s a legacy of Brazil’s oft-forgotten military dictatorship, whose worst atrocities were often carried out by the country’s division of “military police” and who were never held accountable for their crimes. As a result, certain divisions of the military police have continued to act with impunity in an otherwise burgeoning democracy--and the favela crackdowns bring out their worst instincts. Such police “occupations”--as Brazilian authorities call them--have continued under Rio’s new mayor, Eduardo Paes, a centrist elected on a law-and-order platform. Having clinched the 2014 World Cup and the 2016 Olympics, Paes will likely have carte blanche to do what he wants on the security front. 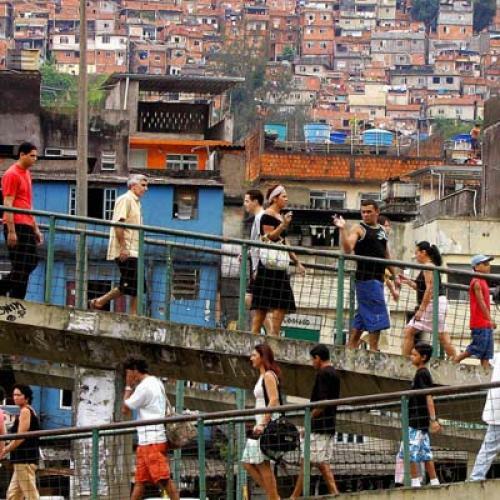 Given the high visibility of Rio's gang violence, Brazilian authorities could be under greater pressure to ramp up the bloody raids on the hilltop favelas, which are tucked right alongside Rio’s wealthiest neighborhoods. But there are signs that there could be other, more subtle crackdowns in which police go out of their way to target some of Rio’s poorest residents. Inspired by Rudy Giuliani’s Zero Tolerance policies, Paes has begun to a war against petty crime through a new program called Shock of Order. It currently targets street vendors for creating undue “visual pollution,” and it’s likely that Paes will ramp up his campaign in advance of the Games. Certainly, Rio won’t be the first Olympic city to resort to such measures--even liberal Vancouver is trying to force its homeless into shelters in advance of the 2010 Winter Games, and China made no secret of its repressive crackdown in the lead-up to last year’s Olympics. But Rio de Janeiro’s history of using ham-fisted tactics to combat violence makes me worry that the city’s working poor will end up in the crosshairs in run-up to the Games. That being said, being thrust on the world stage could also give Brazilian authorities the opportunity to finally do things right. The IOC evaluation of the city’s security situation praised a pilot community-policing program, where officers patrol the shantytowns on a day-to-day basis, instead of conducting commando-style raids. More notably, Sao Paulo has seen its homicide rate drop substantially since the city began prioritizing investigative police work and building closer ties between the military police and the civilian police. Such reforms would not only ensure a more secure environment for the World Cup and the Olympics, but also lay the foundation for a long-term crime-fighting strategy. As my colleague Jason Zengerle has noted, the economic benefits of hosting the Games are often overblown, and Rio itself admits that it never followed through with all the infrastructural developments it promised for the 2007 Pan-American Games, despite going millions of dollars over budget. That being said, the right kind of investments in security could ensure that there’s more payoff than blowback for Rio’s underclass.